In 1928, only 33 students attended the first National FFA Convention from 18 states. Those 33 young men elected Leslie Applegate as the first National FFA President. In 1929, the FFA colors officially became national blue and corn gold. The jackets worn today were adopted as official dress in 1933. Now, FFA programs are in all 50 states and two US territories. Across the United States there are 7,575 chapters. In Nebraska, there are 175 chapters with 7,400 FFA members. Nebraska FFA members have transformed over the years to excel in their Supervised Agricultural Experiences (SAE), Career Development Events (CDE), Leadership Skills Events (LSE), community service projects and leadership in their communities. Nebraska FFA has many members and chapters competing in events at National FFA Convention October 19-22 in Indianapolis. 147 American Degrees will be awarded to Nebraska FFA members. Jordan Paine of the Southern Valley FFA Chapter is an American Star Finalist in Agriscience. Seth Janssen of the Waverly FFA Chapter is an Agricultural Mechanics Repair and Maintenance Entrepreneurship Proficiency Finalist. Brent Miller of the Lyons- Decatur FFA Chapter is an Agriscience Research- Integrated Systems Proficiency Finalist. 15 Nebraska FFA Chapters will be awarded with Star National Chapter Awards. In just their second year participating in the “I Believe in the Future of Ag” fundraising campaign, the Auburn FFA Chapter helps with local hunger problems in their community by using funds donated from community members. local BackPack Program to send out approximately 50 backpacks per week. The FFA chapter not only helps with the food aspect, but also collects coats and hats to give to the families. Believe” fundraising was through word of mouth, letters and their Facebook page. for Nebraska FFA chapters during the 2015-16 campaign but also gave funds to develop the campaign and educational marketing pieces. Have you ever asked anyone how their experience was in FFA? If so, you most likely would have received an answer of how much they enjoyed being in the organization with all of the great learning and leadership opportunities plus all of the new friends they were able to make. When interviewing my Grandpa, Marvin Wood, this is exactly the answers I received plus more! The Palmyra FFA Chapter began in 1957. In 1958, my Grandpa, Marvin Woo d, became a member of the Palmyra FFA Chapter with about 30 other students. Once he was a junior, he became the President of his chapter. He told me about how it was tough to be President because at that time he was shy and didn’t look forward to having to lead the meetings and banquet. While he was the President he had a great learning experience and became a better leader. To become President of the chapter the other students would just vote compared to today where students are usually voted in by their peers and also go through an interview process. When he was a senior, he became the secretary. That same year was the first year that the FFA chapter bought jackets for the officers. The jacket in the picture is the one he received in 1961. As you can see, not much has changed other than the yellow color on the jacket. During his time in the Palmyra FFA he attended many different judging contests. When he attended State Convention, it was a big deal. In fact, when he attended State Convention he had pizza for the first time in his life at Valentino’s. He was a part of the first labor auction during his time in FFA. At the auction he brought $5 to go towards the chapter fundraising. While in FFA, the chapter had a hog program. The hog program was where each student could raise a gilt then farrow her out. Once she had baby pigs the student would give two baby pigs back to the chapter for two other students to raise. He didn’t take part in this project, but his brother did. Some of the pigs raised through the program were also used to be butchered for the annual pancake feed. Hearing his stories is crazy to think that what he started in FFA is still going on today. At the time, he may not have felt like he was making an impact on the school and community by taking part in FFA, but he definitely was because what he did in FFA is still done today. When I was in FFA, we still had the labor auction and pancake feed. We don’t still have the hog program, but it is a great idea for the future. My Grandpa (Marvin Wood), Dad and Mom (Norris and Lynnet Talcott), and my Brother (Garret Talcott) and I all took part in FFA. Along with my Grandpa’s Brother, Aunt, and Uncles. Those three generations all took part in FFA at Palmyra other than my Dad. In the three generations, the FFA program only had three FFA advisors. In those three generations, my Grandpa’s Brother, Wayne Wood, was the first Palmyra FFA member to become a State Farmer, my Uncle, Roy Wood, was the first Palmyra FFA member to become a State STAR farmer, my Dad, Norris Talcott, won State STAR Farmer from Norris FFA, and I was a state STAR finalist in Production. Palmyra FFA Officer Team in 2013-14. In FFA now, 47% of members are women and 50% of the leadership roles are taken on by women. When my Grandpa was in FFA girls were not allowed. Instead they would be in FHA. When my Mom began her FFA experience, she only had two other girls in it with her. The crazy thing is that when I was a senior at Palmyra all of the officers were girls for FFA for the first time. Reminiscing on the past and present is a great way to see how much the organization has grown for FFA Week. Now I hope you start asking your family and friends about what they did in FFA because you might learn something you have never known about! Nebraska FFA Chapters have already started planning what they will do with their funds from the “I Believe in the Future of Ag” campaign. Each chapter in Nebraska is eligible to raise funds to be sent into the Nebraska FFA Foundation to be a part of the campaign. The chapter will receive 100 percent of their local donations and a portion of the $35,000 matching pot. 23 corporate partners are participating in the “I Believe in the Future of Ag” campaign to provide these funds to FFA chapters all over Nebraska. A great example of this campaign would be the Thayer Central FFA Chapter. The Thayer Central High School started their first FFA program this year. The FFA chapter has already began planning a project to take place this year. They decided to raise funds to help support their future garden that will take place this spring. They recently purchased ground right across from the school for the garden. All of the plans are tentative on what they might grow in their garden, but the produce they grow will be served at the school cafeteria. Any produce grown during the summer will be donated to the local food bank. The FFA members will be in charge of taking care of the garden, but they may have some involvement with other organizations. The garden will be a great way for Thayer Central FFA to use their “I Believe in the Future of Ag” funds because it will benefit the FFA members, school, and community. Many other FFA chapters across Nebraska are doing projects or activities with their funds they earn. If you would like to donate to the “I Believe in the Future of Ag” campaign click here. National FFA Convention begins in 2 short days! National FFA Convention will host over 60,000 FFA members and guests throughout the time the convention is going on. You are able to watch the broadcasts at www.FFA.org/convention. There will be a button you can push to watch the videos live. You are also able to watch all of the convention sessions on RFD-TV. If you are attending the National Convention, you can download the convention app, which is free, to see the activities and maps of the convention. Nebraska FFA will be well represented at National FFA Convention this year! We have numerous FFA members and guests attending from Nebraska. Many students will be competing in events at convention. Nebraska has 151 students earning their American FFA Degree. Logan Peters from the Pender FFA Chapter is an American STAR Farmer Finalist. 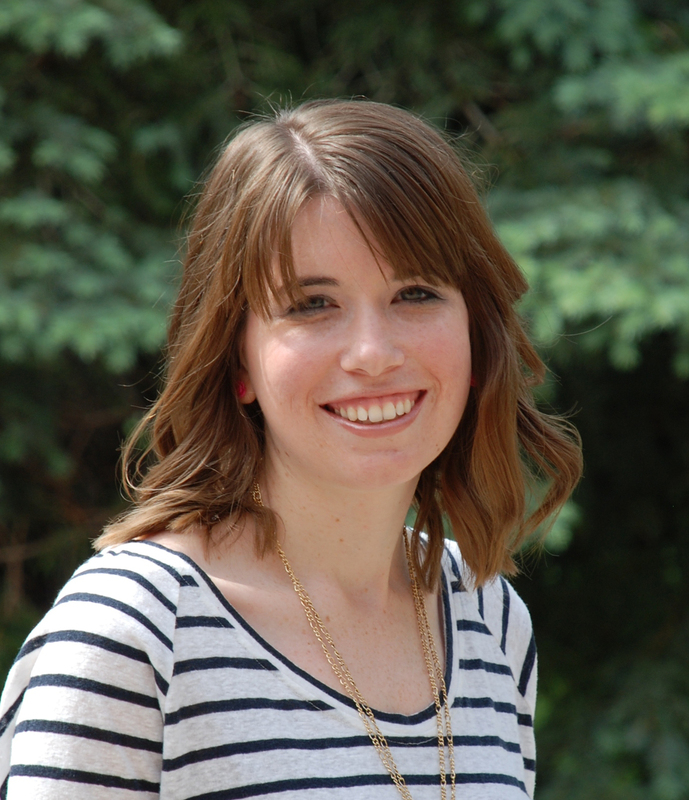 Andrea Wach is the Nebraska representative to try for a National FFA Officer Position. Jocelyn Sukup from the Creighton FFA Chapter is a national finalist with her Agricultural Processing Proficiency. Ryan Schroeder from the Wisner-Pilger FFA Chapter is a national finalist with his Agriscience Research- Animal Systems Proficiency. Benjamin Rice from the Norris FFA Chapter is a national finalist with his Environmental Science and Natural Resources Management Proficiency. Brandon Funk from the Elgin FFA Chapter is a national finalist with his Grain Production- Placement Proficiency. Congratulations to everyone and good luck competing! Braden Badertscher posed for senior pictures in front of the tractor he restored for his Supervised Agricultural Experience. 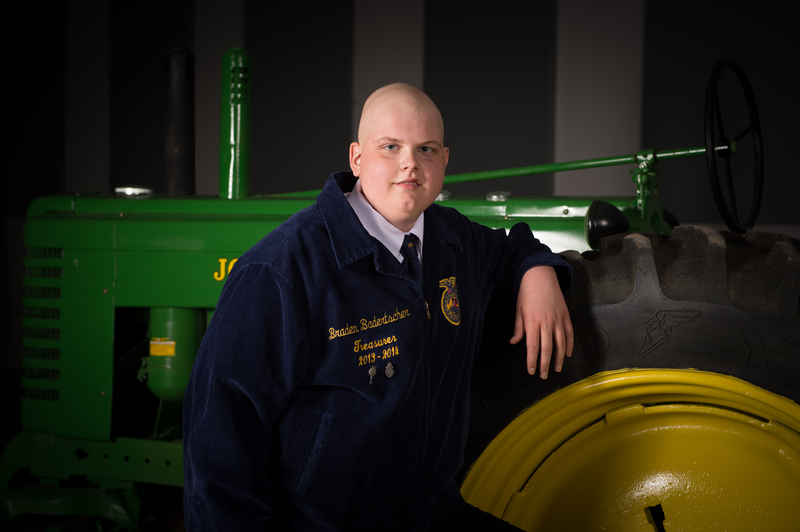 Not only did FFA help Braden grow in all of these ways, but it brought normalcy to his life when he was diagnosed with cancer. Jane says FFA helped give him something positive to focus on instead of all the bad that was happening. “The Holdrege FFA Chapter and advisor became part of Braden’s ‘family’ and was a huge support system throughout this illness. The Braden Badertscher “Power Your Potential” Memorial Endowment supports a proficiency award recognizing excellence in a student’s Supervised Agricultural Experience in the Power, Structure and Technical Systems Pathway and a $1,000 cash award for that student. This endowment is the first of its kind in endowing a proficiency award through the Nebraska FFA Foundation. One thing I love about my job is having conversations with ag teachers about their wants, needs and dreams. 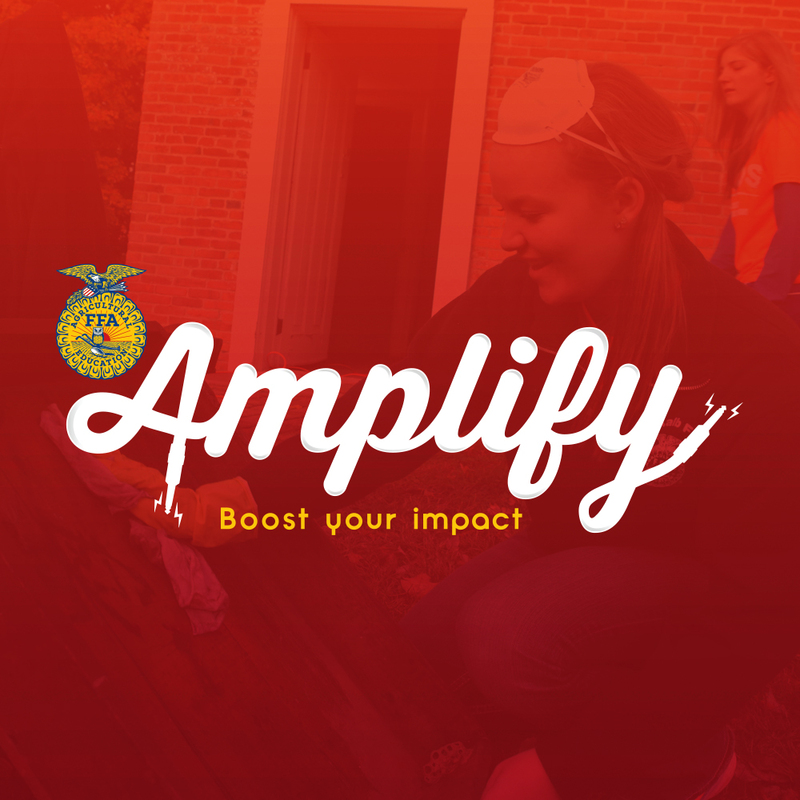 Whether it’s building an animal lab, sending students to leadership conferences or helping out in their local community, your local FFA members and advisors have great goals for the future. Because many of these conversations are around I Believe in the Future of Ag local fundraising, I wanted to take a minute to look back at what kind of impact you’ve had at the local level through this campaign. Here are just a few FFA chapters and what they’ve been able to accomplish with your support. The Norris FFA chapter has used their funds to support members as they attend the Chapter Officer Leadership Training (COLT) Conference and NPower Leadership Conference over the summer. Additional money was used to support college scholarships for graduating FFA members. The Stuart FFA chapter has used dollars raised for equipment to implement Curriculum in Agricultural Science Education (CASE) in the classroom. They’ve got future goals of building a greenhouse and animal lab to enhance hands-on learning and Supervised Agricultural Experience (SAE) opportunities for students. The Southern Valley FFA chapter has put their donations towards a new greenhouse. The greenhouse is currently being constructed and will enhance agricultural classes by growing plants and raising fish. They’ve also purchased food and will be packaging meals for Kids Against Hunger to send to the Philippines on Monday. The Bloomfield FFA chapter used local support of the I Believe in the Future of Ag program to help students attend the Washington Leadership Conference last summer. These FFA chapters and many others across the state are doing some very unique and important projects with your support. Please continue to support them through the I Believe in the Future of Ag campaign. 100% of your donation is given to the chapter of your choice and tax-deductible. Because of many generous corporate sponsors, participating chapters also receive a portion of $24,000 in matching funds. Is your local FFA chapter using the I Believe in the Future of Ag campaign for a particular project? Leave me a note in the comments below. I’d love to feature them in another blog post or newsletter. As always, thanks again for your support. I hope you have a wonderful holiday season.